In less than twenty-four hours the temperature has dropped over 40 degrees! And here I was feeling all disappointed this past week that we were having an unusally warm winter. (57 degrees in the middle of January?? What's up with that?!?!) At least now we have more expected temperatures in the mid-teens. 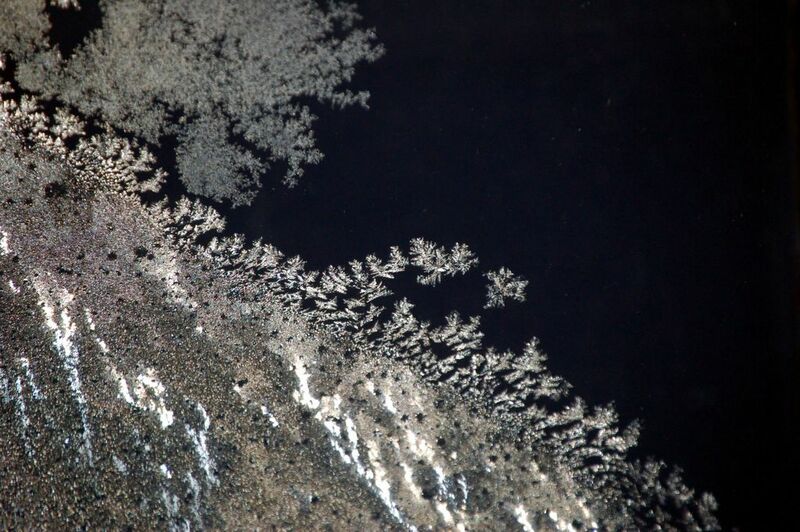 The above picture is of frost on my bedroom window backlit by the light of the full moon. No flash was used- it was a 13 second exposure. I was surprised I was able to actually get it (mostly) in focus. Glad to see you are enjoying your new camera! Pictures look great! cool camera! and good pictures too. By the way, what was that other picture of looking through a window? I mean what was outside the window? What? You can't recognize your own uncle, Beth? That was a picture of a reflection of me sitting on my sofa taking a picture of the window. See the four knees in the picture? Everyone knows I have four knees.